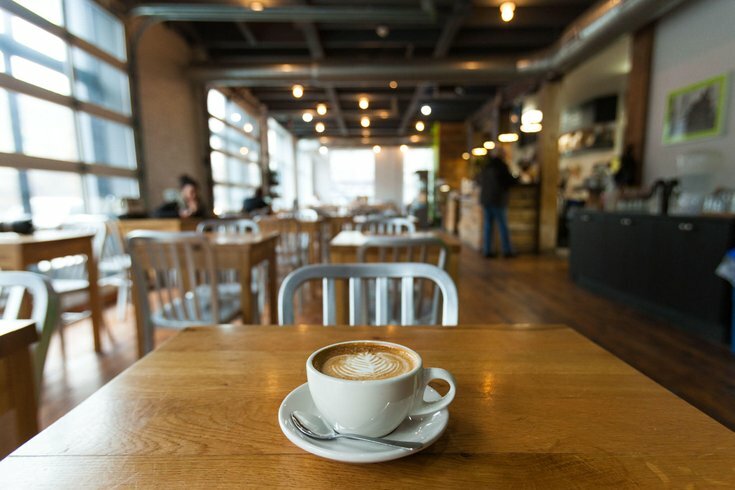 OCF Coffee House in Fairmount offers Square One coffee, a full lunch menu and a spacious interior. It's one of several OCF Coffee House locations in the city. Drinking in Philly just gets easier and easier: right on the heels of the expansion of Quick Sip's beer delivery service, national coffee app CUPS is launching in Philly. As Foobooz reports, CUPS will be available in the area starting early next month. Users pay in advance for a certain number of cups which they then order at their local cafe. They hand their phone to the cashier, who punches in a code, and they're on their way. You can choose from a Basic plan, for hot/iced coffee and tea, or the All Drinks plan for specialty beverages. For both plans, you can choose to either pre-pay for five cups at $11 for Basic and $18 for All Drinks, fifteen cups (discounted in honor of the launch) at $15 for basic and $30 for All Drinks, or you can pay a flat monthly rate for an unlimited amount of drinks at $90 for Basic and $120 for All Drinks. CUPS first launches in Philly at Square One, Green Street Coffee Roasters, Bodhi, and OCF cafes. Correction: This article previously stated that the CUPS app was used to order drinks & bypass the line. Instead, users order their coffee regularly, at the cafe, and just pay with the app. Prepaying for the drinks means users get a bulk discount, essentially. Yes, we think it's way less cool, too.